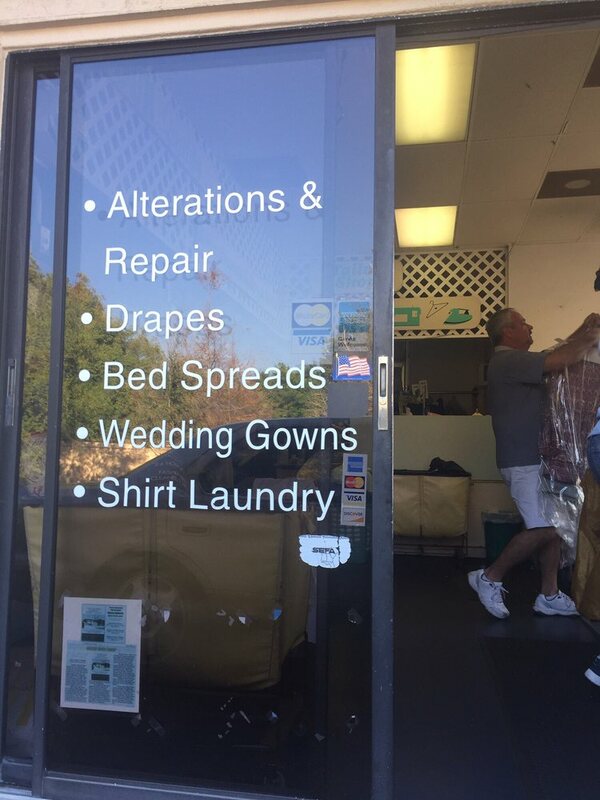 Dry cleaners are a dime a dozen, but that doesn’t mean they’re all the same. In fact, most dry cleaning services can’t match the range of abilities and expert capabilities that 60 Minute Cleaners and Tailor Shop brings to the table. We offer complete laundry and cleaning services, along with clothing alterations in Fort Myers, FL, to make sure your clothes are always in perfect condition. Dry cleaning: Our dry cleaning services are the best around, in both quickness and thoroughness. We welcome clothing of all fabrics and styles and take pride in administering the right care to restore each piece to perfection. We strive to offer same-day service whenever possible and can even offer 60-minute turnarounds for general cleaning! Laundry services: Need a good and thorough washing for your everyday clothing? We can provide it! We’ll get things cleaner than your at-home washer and dryer ever could, renewing your clothing and extending its comfort. Wash and fold services: For busy professionals without the time to do laundry, we offer wash and fold services. We’re happy to take your socks, underwear, sheets, towels, any anything else that needs to be washed. We’ll launder it, fold it and give it back to you in a ready-to-wear state. Tailoring and alterations: We have an in-house seamstress in Fort Myers, FL dedicated to altering your clothing for the perfect fit. Whether you need things taken in, let out or just repaired, trust your clothing will get the attention they need here. Wedding gown alterations: Your wedding dress is likely the most expensive piece of clothing you own! Make sure it’s in good hands when the time comes for alterations. Bring it to us and see that it’s handled with expert care. Cleaning services: We offer general cleaning services for numerous items beyond clothing. Bring us your area rug, bed spread, comforter and other similar household items like draperies, cushion covers, sofa covers and throw covers. We’ll give them back to you in pristine condition. Specialty services: For items that require special attention, we’re willing to work with you to offer a range of specialty services. This includes accommodating leather and suede cleaning, as well as special alterations and more. Inquire about your needs today! We’re red wine stain removal experts and can absolve even the worst stains thanks to years of professional experience. Come to us for completely FREE cleaning and repair of American flags. We take pride in restoring the symbol of our country. We can often guarantee same-day service if requested by 11am with proper drop-off. For customers on-the-go, we offer drive-thru window drop-offs and pick-ups. You never have to leave the car! To experience these conveniences and more firsthand, stop by our location today with your clothing. We’ll be happy to explain the many options we have available and can work to ensure quick turnaround of your garments. Questions? Contact us today by calling 239-466-5115. "I walked into 60 Minute Cleaners and a pretty woman greeted me with ""Welcome back. I have twenty dollars for you in my cash drawer!" ........."
"I have been very happy with the service and quality of their work I love the drive up window!! They have been willing to rush an item if I r..."
"I had a Halloween costume tailored here and I couldn't be happier!!! I loved everything about their service from the sweet girl who answered..."